Below are some of the most frequently asked questions patients have about their child's oral health issues. If you have any other questions, or would like to schedule an appointment, we would love to hear from you. The pediatric dentist has an extra two years of specialized training and is dedicated to the oral health of children from infancy through adolscence. The very young, preteens, teens and young adults all need different approaches in dealing with their behavior, guiding their dental growth and development and helping them avoid future dental problems. The pediatric dentist is best qualified to meet these needs. Q: When should my child's 1st dental visit be and what can I expect? Your child should visit the dentist by his/her 1st birthday. You can make the first visit to the dentist enjoyable and positive. Your child should be informed of the visit and told that the dentist and staff will explain all procedures and answer any questions. The less to-do concerning the visit, the better. Q: Why are the Primary (Baby) teeth so important? It is very important to maintain the health of the primary teeth. We are often asked "why put fillings in baby teeth when they will fall out anyway?" Neglected cavities can and frequently do lead to problems which affect developing permanent teeth. 1. Nutrition. The primary teeth allow your child to chew properly, thus enabling proper nutrition. It is found that children with significant cavities are often underweight. It's not fun to eat when it hurts! Children may not be able to verbalize their dental pain, but will find themselves limiting food choices due to chewing discomfort. 2. Speech. Your child will learn to talk using the primary dentition. By the age of seven, when the upper front teeth begin to come out, most speech skills are already formed. In some cases, children that lose their primary front teeth too early have been shown to require speech therapy. 3. Proper Dental Development. Primary teeth provide space for the permanent teeth and guide them into the correct position. A healthy primary dentition helps to permit normal development of the jaw bones and muscles. The front four baby teeth (incisors) last until 6-7 years of age, the back teeth (canines and molars) are not replaced until 10-13 years of age. Early loss of a baby tooth due to caries, infection, or trauma may lead to space loss that may need correction by orthodontic therapy. 4. Positive Self-Image. Certainly the development of a positive self-image is enhanced by a nice smile unmarred by brown or missing teeth. 5. Oral Health and Overall General Health of a Child. Once a cavity is detected in a primary tooth, it can worsen quickly. If neglected, cavities can progress to the core of the tooth where the nerve lies. When this happens, the tooth becomes painful, the nerve becomes inflaimed and dies, an abscess forms and the tooth is usually lost. The infection can cause serious damage to the permanent tooth developing underneath. In some instances, a severely affected tooth can require emergency hospitalization to treat. Q: What is Early Childhood Caries? Early Childhood Caries (formerly termed Baby Bottle Tooth Decay or Nursing Caries) is a transmissible infectious process that affects children younger than age 5 and results in tooth destruction. It is caused by tooth-adherent bacteria, primarily mutans streptococci (MS), that metabolizes sugars to produce acids, which over time, demineralize and destroy tooth structure. Early Childhood Caries is caused by frequent exposure to sugary liquids for long periods. This can happen when a baby is put to bed with a bottle (containing milk, juice, pop, etc), babies nursing on demand through the night or toddlers grazing with a sippy cup. This condition can destroy the primary teeth requiring major dental treatment for infants and toddlers. If gone untreated, the permanent teeth could also be affected. Many times treatment takes place in the hospital OR under general anesthesia. Early Childhood Caries are also caused by vertical transmission of mutans streptococci, primarily from the child's primary caregiver. MS may be vertically transmitted from caregiver to child through salivary contact, affected by the frequency and amount of exposure. It is therefore important to minimize saliva-sharing activities (such as sharing utensils) to decrease the transmission of bacteria, especially if the primary caregiver has a history of dental caries. Establish a Dental Home by a child's first birthday for a caries risk assessment and oral health education for prevention of caries. milk, formula, fruit juices or any sweetened liquids (including breast milk). 2. Never give your baby a pacifier dipped in sugar or honey. 3. Use water only in grazing bottles and sippy cups. 4. Encourage children to drink from a cup as they approach their first birthday. Wipe the baby's gums with a clean gauze pad after each feeding. Begin brushing your child's teeth with a little water as soon as the first tooth appears. Any soft bristled toothbrush with a small head, designed specifically for infants, should be used at bedtime. A toothbrush will remove plaque bacteria that can lead to tooth decay. 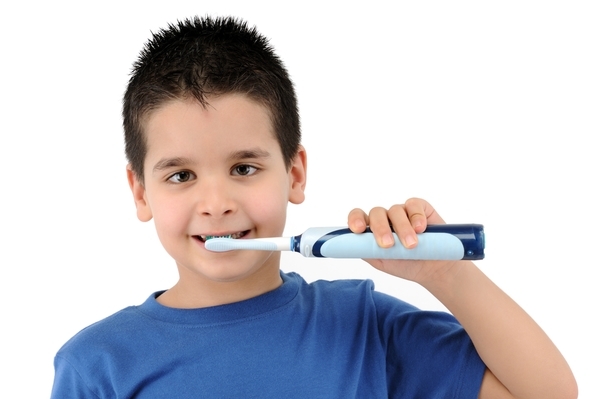 Q: How often should my child brush and floss? Q: What is xylitol and how does it help prevent caries? Clean the area of the affected tooth thoroughly. Rinse the mouth vigorously with warm water or use dental floss to dislodge impacted food or debris. DO NOT place aspirin on the gum or on the aching tooth. If face is swollen apply cold compresses. Call your pediatric dentist to schedule an appointment as soon as possible for an examination. Q: Tongue piercing--Is it really cool? Q: How is tobacco use dangerous?